Regardless of whether you love or hate the low-heel trend, we can safely say that the fashion world has officially gone through stiletto fatigue, opting for more comfortable (yet polished) options. 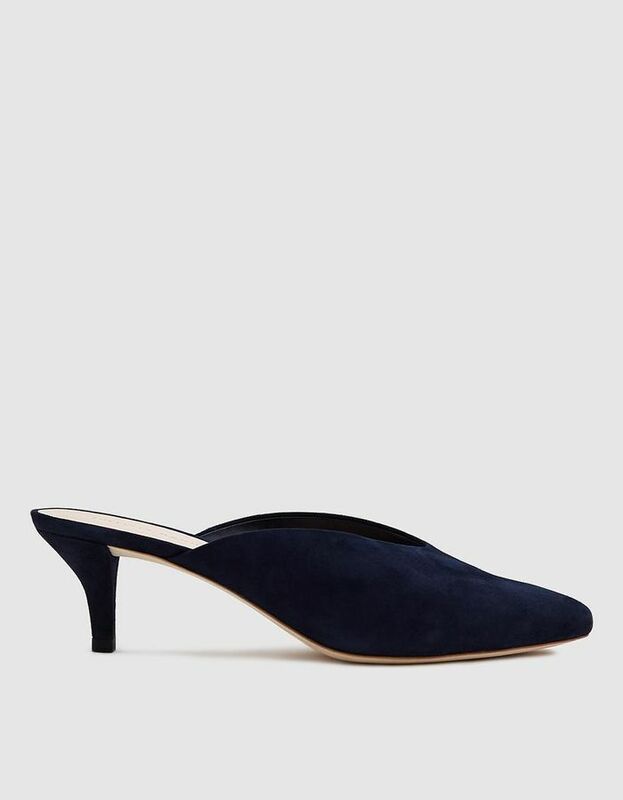 While we could always wear a sleek pair of ankle boots or cool sneakers, a kitten heel only seems natural for those moments when you want to take your ensemble to the next level. From dainty sandals and mules to classic pointy-toe heels, the black kitten heel has become bigger than ever before. If you’re ready to ditch the sky-high heels in the name of ease and comfort, shop our favorite version on the market below. You won’t regret it. Wear these to the office. For those who love a good logo. Wear these to a holiday party. Can't go wrong with these. Perfect with anything you wear. These look so much more expensive than they are. How cool is this wooden heel? Trust us, you'll never want to take these off.